Download "ADOBE PSLT - ADOBE EXPERIENCE MANAGER: MANAGED SERVICES BASIC (2015V2.1)"
1 1. Development Consultant. Any Development Consultant(s) appointed by Customer under this PSLT work expressly and exclusively at Customer s direction and Customer is responsible for any acts or omissions of such Development Consultant(s). Adobe may deny access to any Development Consultant it deems is adversely impacting the Managed Services or other Managed Services customers. References to Customer in this PLST refer to both Customer and its Development Consultant(s). 2. Runbook. Customer must create and provide a complete and accurate Runbook to Adobe for review and obtain Adobe s written approval of such Runbook. 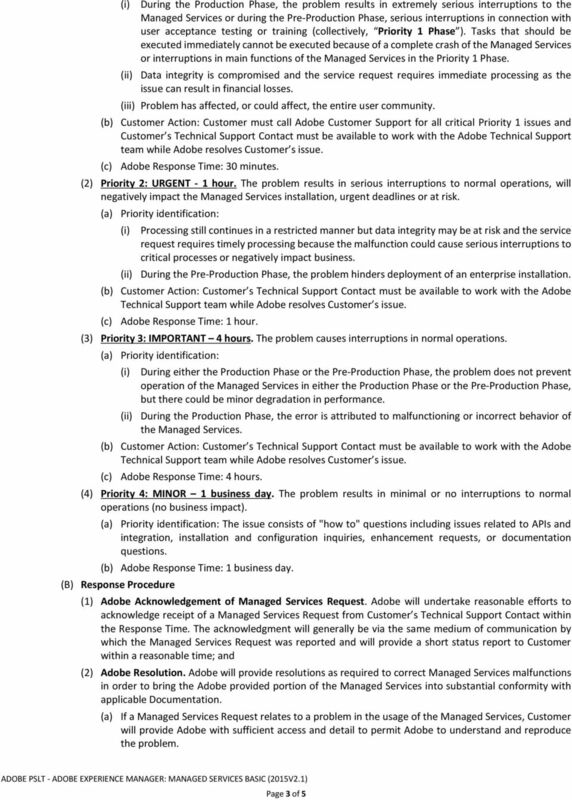 Customer s Runbook must, at a minimum, include the subject matters listed below in the format provided by Adobe. Customer must promptly update the Runbook to reflect updates or changes made by Customer to its Managed Services deployment. Adobe may, in its sole discretion, from time to time during the License Term, change or modify the subject matters required to be included in the Runbook, and Customer will promptly update its Runbook to include such new subject matters. Customer will immediately update the Runbook upon any Adobe request. 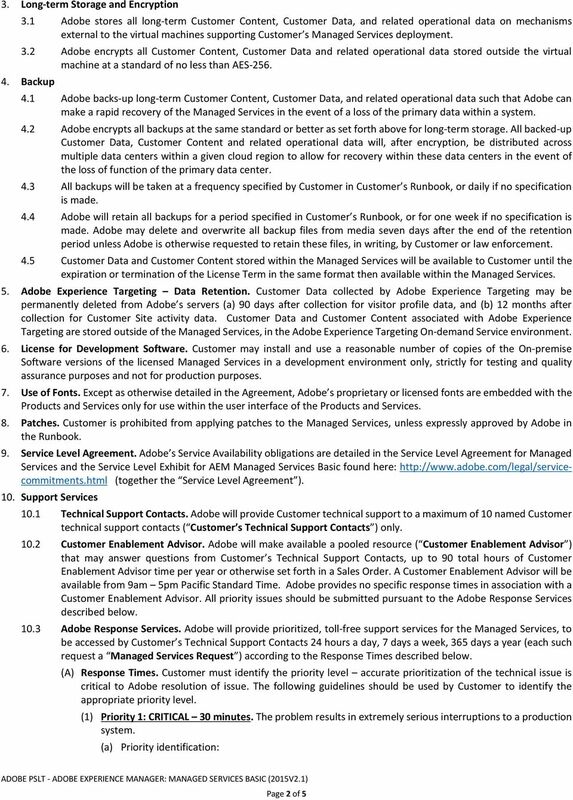 Adobe has no obligation in connection with any failure or defect caused by Customer s failure to comply with the terms of this section. 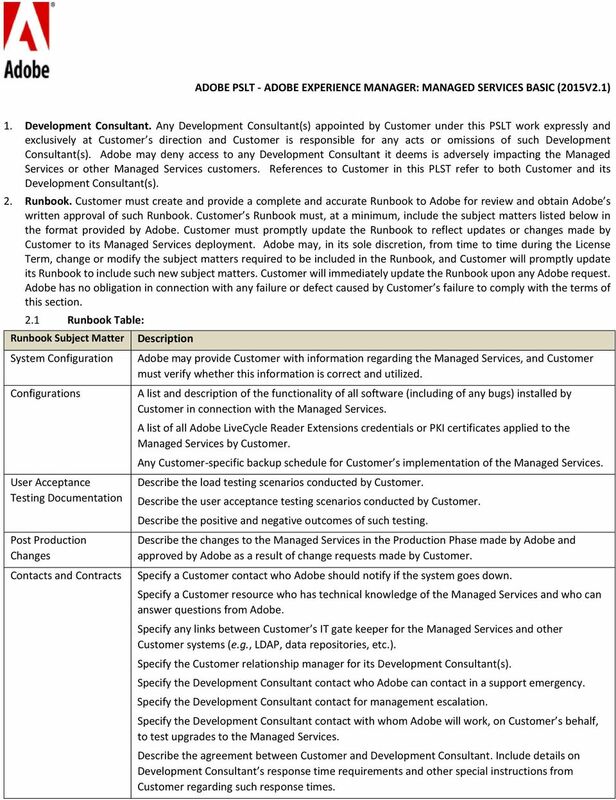 2.1 Runbook Table: Runbook Subject Matter Description System Configuration Adobe may provide Customer with information regarding the Managed Services, and Customer must verify whether this information is correct and utilized. Configurations A list and description of the functionality of all software (including of any bugs) installed by Customer in connection with the Managed Services. A list of all Adobe LiveCycle Reader Extensions credentials or PKI certificates applied to the Managed Services by Customer. Any Customer-specific backup schedule for Customer s implementation of the Managed Services. User Acceptance Describe the load testing scenarios conducted by Customer. Testing Documentation Describe the user acceptance testing scenarios conducted by Customer. Describe the positive and negative outcomes of such testing. Post Production Changes Contacts and Contracts Describe the changes to the Managed Services in the Production Phase made by Adobe and approved by Adobe as a result of change requests made by Customer. Specify a Customer contact who Adobe should notify if the system goes down. Specify a Customer resource who has technical knowledge of the Managed Services and who can answer questions from Adobe. Specify any links between Customer s IT gate keeper for the Managed Services and other Customer systems (e.g., LDAP, data repositories, etc.). Specify the Customer relationship manager for its Development Consultant(s). Specify the Development Consultant contact who Adobe can contact in a support emergency. Specify the Development Consultant contact for management escalation. Specify the Development Consultant contact with whom Adobe will work, on Customer s behalf, to test upgrades to the Managed Services. Describe the agreement between Customer and Development Consultant. Include details on Development Consultant s response time requirements and other special instructions from Customer regarding such response times. DS Customer Support Team will make reasonable effort to provide high quality Support Service and comply with these Support Policies. 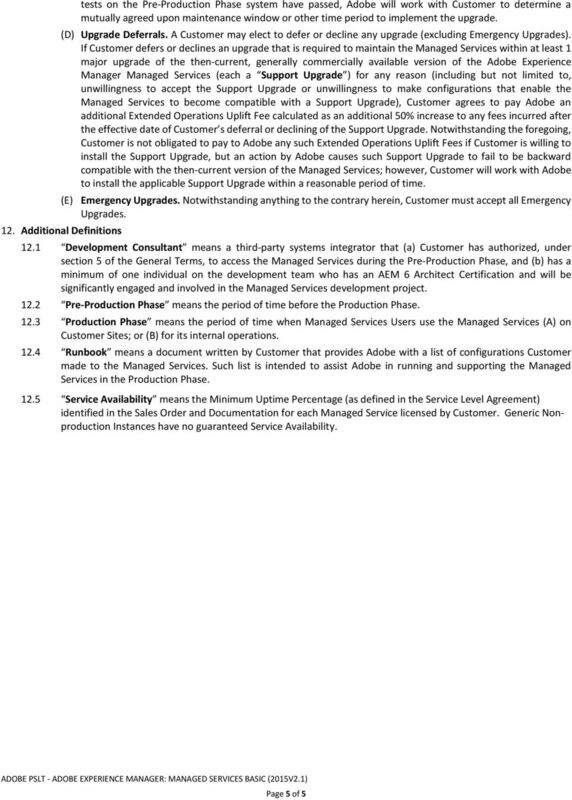 Magento Enterprise Edition Customer Support Guide April 2015 Thank you for using Magento Enterprise Edition Customer support is a vital part of the total Magento Enterprise Edition customer experience. Oracle Fixed Scope Services Definitions Effective Date: October 14, 2011 "You" and "your" refers to the individual or entity that has ordered Advanced Customer Services from Oracle or an authorized distributor.